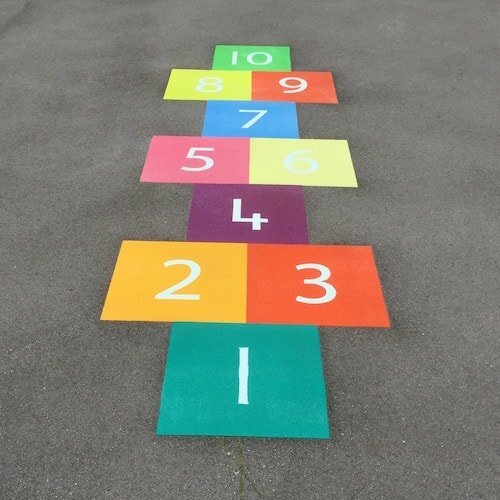 Traditional Hopscotch with larger 400mm x 400mm squares, idea for Key Stage 2 children to enjoy. 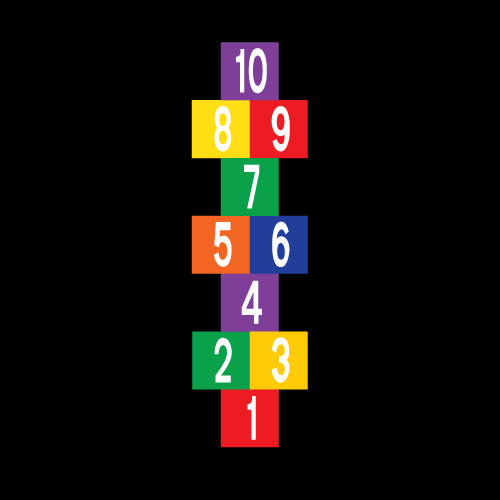 Hopscotch is a traditional game, dating back to 1677 and thought to be used by the Romans to train their army with fitness and endurance. 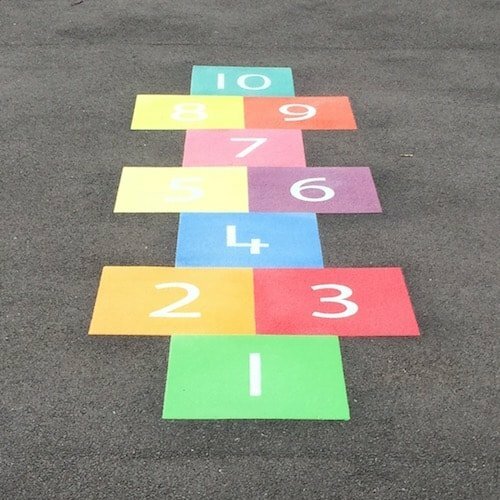 It has been known as Scotch Hobby, Hop Score and Peevers and pabats in Surrey .Hopscotch is a fun way for children to develop numeracy and counting skills as well as developing positive social play. The hopping and jumping is a great way to encourage exercise and at playtimes and help develop fine motor skills and fitness.